The next time you’ve got a plan to shop ’til you drop, don’t settle for just any mall food. Stoneridge Shopping Center in Pleasanton, CA is not only home to major retailers like Nordstrom, Macy’s and JCPenney, but also several high-end eateries. So the next time you’re hunting down deals, stop in for something delicious. Check out our list of must-have mall bites at Stoneridge Shopping Center. 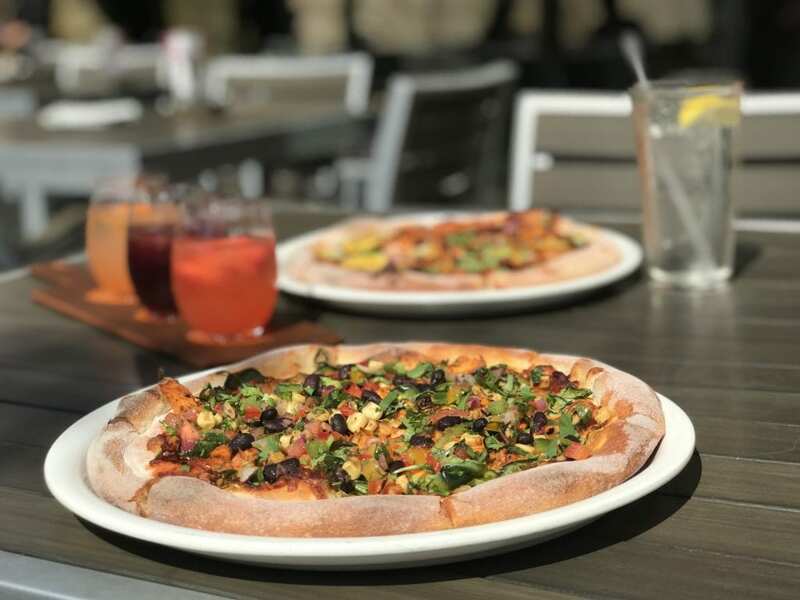 Be sure to try their classics: the Original BBQ Chicken Pizza and Spicy Chipotle Chicken Pizza (pictured above) are both delicious. Also, don’t leave without ordering some of their craft cocktails. Their bar is stocked with premium spirits, purées and carefully selected ingredients sourced from farms in California. We tried their Sangria Flight and Blueberry Ginger Smash, which both showcase the robust flavors of our sunny state. 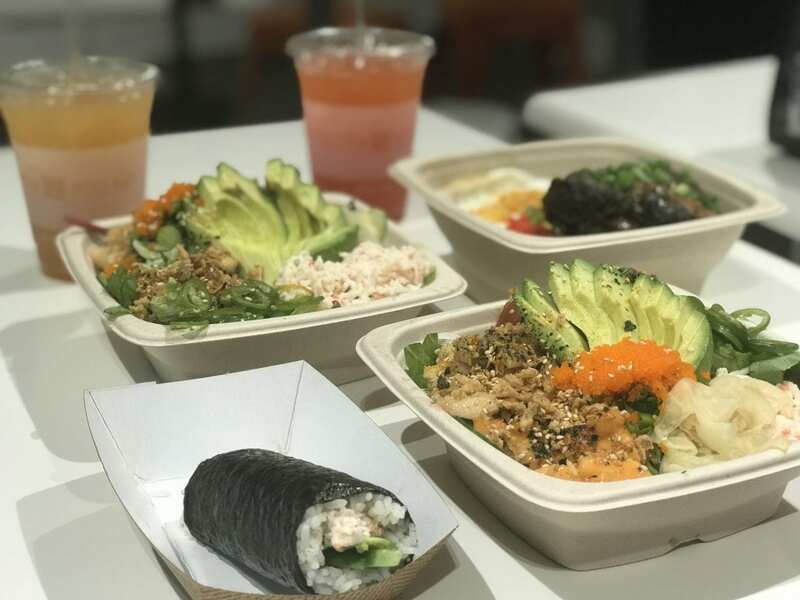 Build the poke bowl of your dreams at Go Fish Poke Bar with their vast selection of fresh seafood ingredients. Start by picking a base of your bowl. Choose from sushi rice, brown rice, mixed greens, noodles or chips. Next, add your poke (naked or dressed), select your sauce (all homemade and gluten-free), and take your pick of toppings. For those who prefer something cooked, order their signature Miso Short Rib and Shoyu Ginger Chicken bowls. Top off your meal with fresh hand rolls, organic homemade juices, and a couple mochi ice creams. This menu is ideal for those with food allergies, as there are plenty of choices for everyone and everything is clearly labeled. 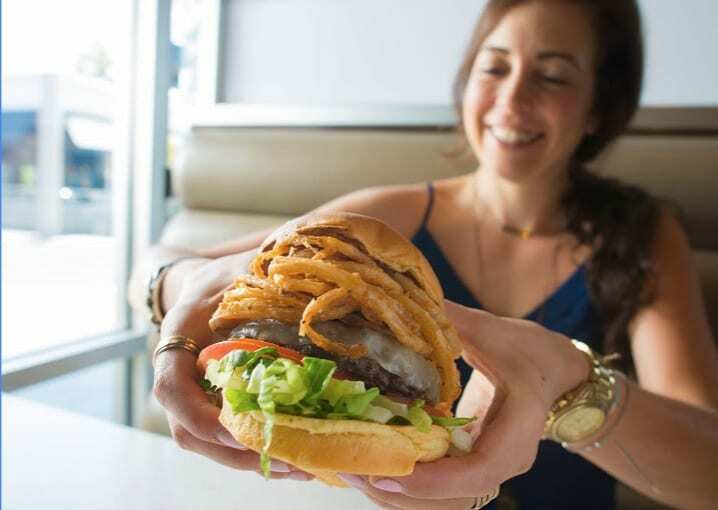 Counter Burger has long been home to the completely customized burger, but they’ve since added another powerhouse to their delicious roster. Vegans and meat-eaters alike can find the trending, 100% plant-based Impossible Burger right here in the Tri-Valley. In addition to giving you your pick of fresh, locally-sourced ingredients, Counter Burger also features a full bar with several beers on tap. 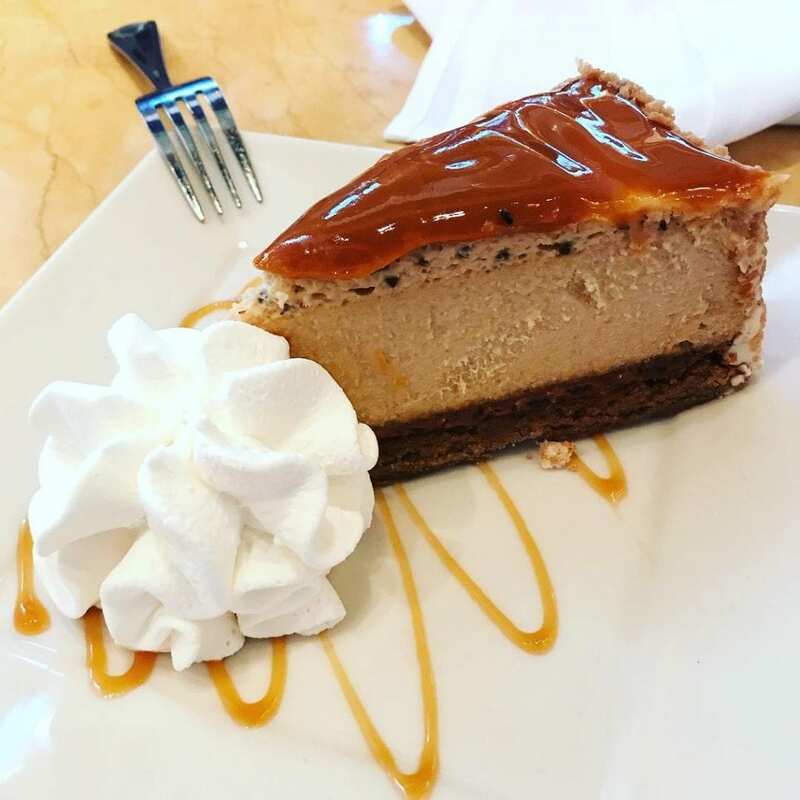 With more than 250 menu items and more than 50 signature cheesecakes and desserts, there is truly “something for everyone” at The Cheesecake Factory. Taking home a slice of cheesecake is usually a given when visiting The Cheesecake Factory, but they also feature several healthy options. Choose from more than 50 dishes with 590 calories or less by ordering from their Skinnylicious collection. Likewise, pick a plate from their Super Foods menu, which is full of recipes developed with ingredients found in nature – many of them acting as excellent sources of antioxidants. Visit the Stoneridge Mall on Friday for a special treat: Food Truck Mafia’s Street Eats. Located at the corner of Stoneridge Mall Rd. and Workday Way, grabbing a quick bite to eat before hunting down sales couldn’t be easier. 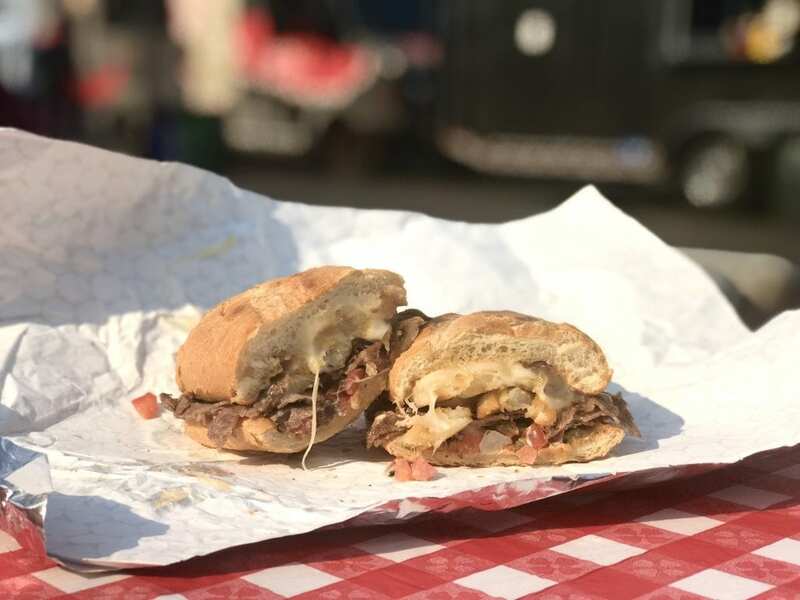 Visit Food Truck Mafia’s calendar to find out which trucks will be stationed at the mall each Friday. With a rotating schedule, you’ll have plenty of options to choose from each week.